The Habitat for Humanity NL Labrador West Build started in August. Two deserving families now have new homes to call their own. The families of Victoria Humby and Cassandra Gaulton worked along side dedicated volunteers to make their dream of owning a home become a reality. 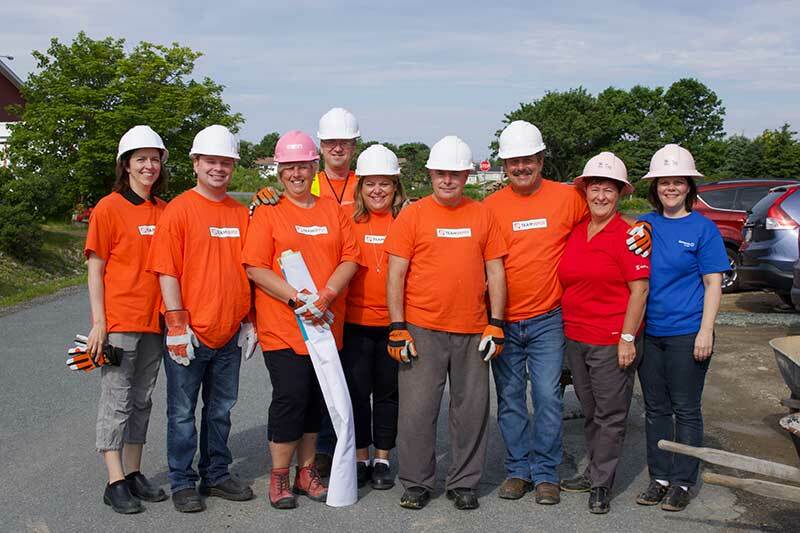 Major sponsors of this year’s build included Newfoundland and Labrador Housing Corporation, the Iron Ore Company of Canada and Cliff Natural Resources. There are also many local companies and groups that supported this year’s build. A big Thank You to all of those that supported the build. Want to volunteer on the Labrador West build? Drop us an e-mail and we will connect you up with the Labrador West Committee.